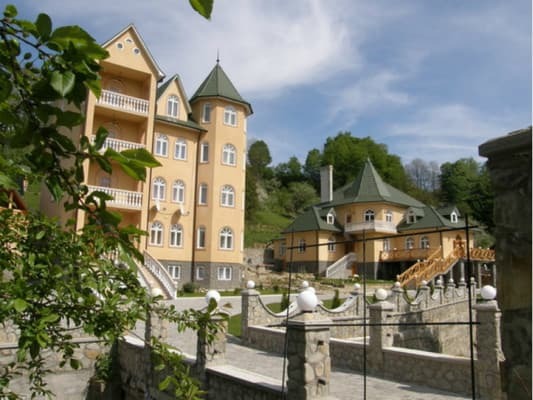 The Gorny Uvoz hotel is located 200 meters from the center of Vizhenka village. To attention of tourists the three-storeyed complex on 15 numbers is offered. At the same time, it is possible to accommodate up to 40 people. Each room features a WI-FI and satellite TV, and a mini-fridge. In the courtyard there is a playground and in the summer time there is a children's pool. There is a restaurant at the hotel, as well as several arbors for barbecue and barbecue in the company from 4 to 15 people. Near each arbor is a grill, wood and coal are always in sufficient quantities. A 24-hour guarded parking lot is located on the territory of the Gorny Uvoz complex. For an additional payment, you can book excursions to the mountains, horseback riding, rafting, quad bikes and a sauna with a swimming pool. In winter, a transfer to the ski resorts of the Carpathians is provided. The distance to the railway station of the city of Chernivtsi is 72 km, to the nearest ski lift (p. Podzaharachi) - 7.7 km. 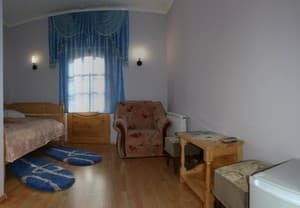 Description of the room: One room is equipped with single or double beds. In the room is a wardrobe for clothes and shoes, near the bedside table with a table lamp. 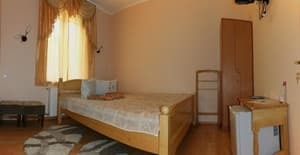 Description of the room: One-room suite is equipped with a double bed, 1 folding armchair, a wardrobe, a coffee table. On the balcony there is a table and two armchairs. 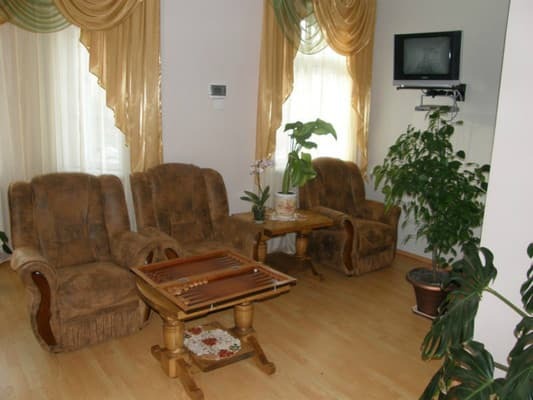 Description of the room: Two-room suite with one double bed and 2 folding chairs. The room is furnished with a wardrobe for clothes and shoes, a coffee table; A bedside table with a table lamp and an iron. Все со вкусом и любовью. Все щедро и продумано. Интерьер, дворик - просто супер! Чистенько, уютно. Очень все приветливые и гостеприимные. Possibility to provide an additional place to specify when booking. 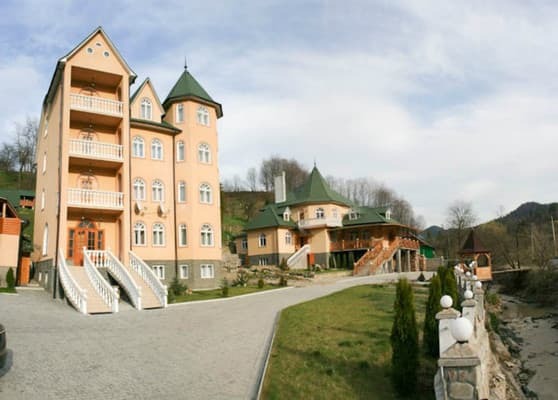 The hotel is located in the village of Vizhenka, 3 km from the P-62 "Chernivtsi - Vyzhnytsya - Verkhovyna" highway, 200 m from the village center. By public transport: by train, by bus to the city of Chernivtsi, then from AS-1 by minibus to Vizhenka village (daily route, according to schedule). You can order a transfer to the hotel. By car: along the road Chernivtsi - Vyzhnytsya - Verkhovyna (R-62), turn at the sign of Vizhenka village. Go about 3 km and turn left down the hotel sign, go about 200 m more, the hotel is to the left of the road.